Story based on Report by Lindsey J. Morgan for NRAblog. 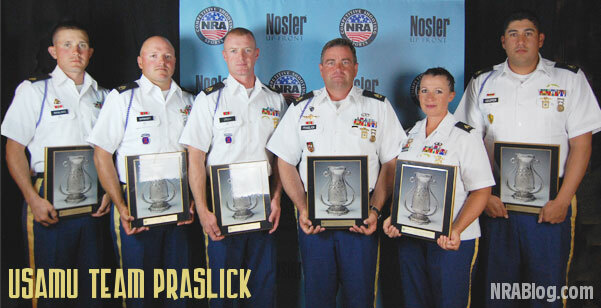 The United States Army Marksmanship Unit is now two-for-two in Long Range Rifle Championship team matches. On Sunday, USAMU Praslick won the Roumanian Trophy Team Match and Monday afternoon the team shot their way to the top after an incredible Herrick Trophy Team Match finish. 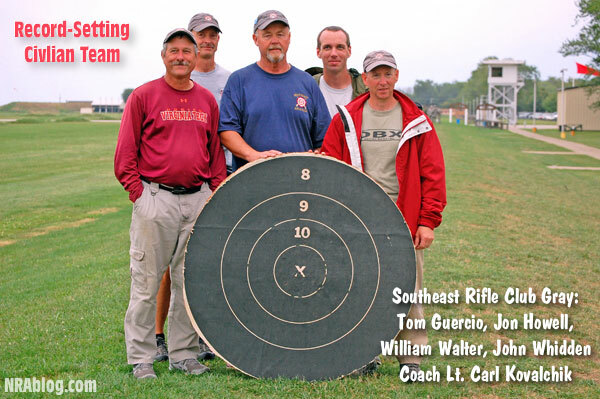 USAMU Praslick shot a National record-setting score of 799-56X, surpassing the old Herrick Trophy Team national record of 799-51X by five Xs, which was also set by a USAMU team coached by SFC Emil Praslick III. Share the post "Civilian and USAMU Teams Set New Long-Range Records at Perry"